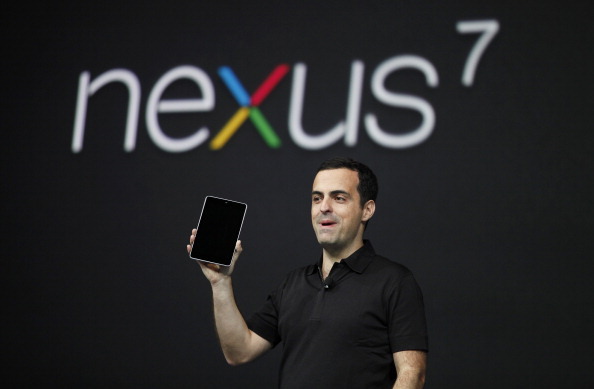 Google has unveiled an updated version of one of its newest tablets, the Nexus 7. Released on November 13, this device will be available to users with more storage and is more portable than before. Today, Google announced that it has provided a new version of the tablet that is now thinner, lighter, and more portable than ever before — and they come in two different sizes too. Starting next month, users will be able to buy a 32 GB Nexus 7 for $249. Additionally, all Nexus 7 devices will now have HSPA+ mobile data, which helps make it much more portable and useable wherever you are. The 32 GB model can be used on more than 200 mobile carriers worldwide and will be priced at $299 with a data plan — AT&T will be the exclusive carrier in the United States. Unveiled this past summer, the Nexus 7 started out at $199 to compete with Amazon’s Kindle Fire HD tablet and came equipped with a 7-inch screen, 9 hours of HD video playback, 10 hours of browsing time, and only was available in 8 GB and 16 GB.